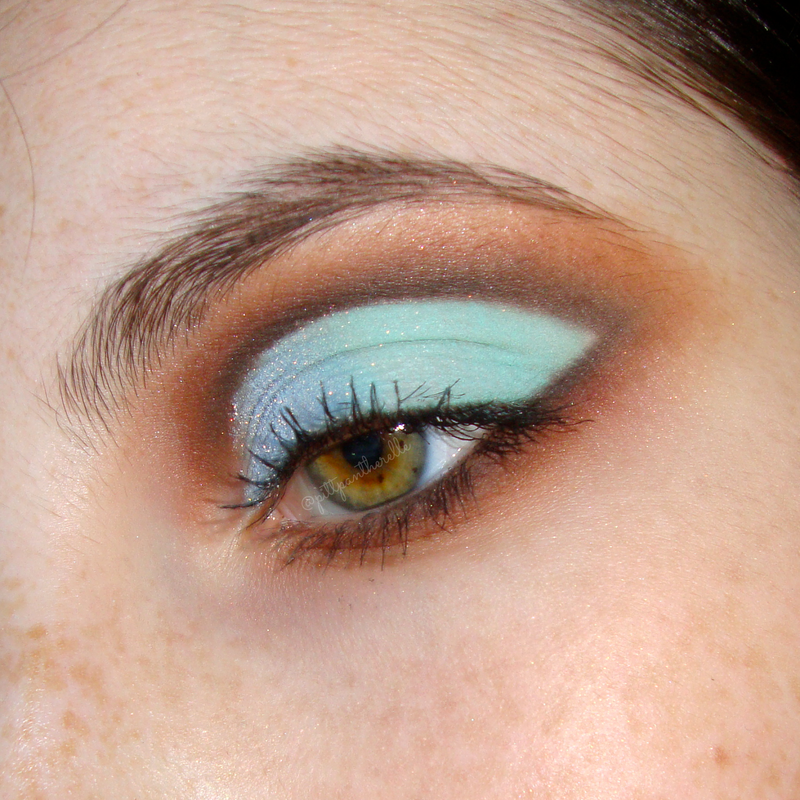 Map out your cut crease. I map mine so that it is visible when my eye is open. Pack some more of that dark brown on a small pencil brush and make the line a bit thicker. Blend that out with a bigger pencil brush. Add a slightly lighter and warmer brown on the edge of the darker brown. Blend that out. We like blending here. Blend it. Blend it gooooooood. Optional: You can add and clean up with a base. I would recommend NYX Milk Jumbo Pencil. Pat a mint color to the outer 2/3 of the lid. Apply Shiro Glowstick of Destiny (light blue/gold duochrome) to the inner 1/3 wet. Add the dark brown close to the lash line and bring it 1/3 to 1/2 the way in. Bring that medium warm brown 3/4 the way in. Blend the edges with the slightly lighter brown. I hope you guys enjoyed the tutorial (especially my exchange partner). If you recreate it, #pittpantherelle me on Instagram. I am most active there.